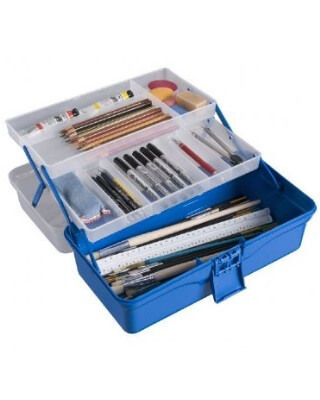 Plastic tool box features two 12½" x 6¼" x 1" foldout trays. Main storage compartment measures 13¼" x 6½" x 3". Overall dimensions: 14¼" x 7½" x 6¼".